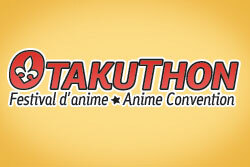 News › Thank you from the staff of Otakuthon 2012! Thank you from the staff of Otakuthon 2012! The staff of Otakuthon 2012 would like to thank all 11000 of you for attending and making the event a great success! tell us what you'd like to be improved or expanded next year. If you have any comments or suggestions, send them to: feedback2012@otakuthon.com.